This is where in African traditional religions witchdoctors come in. They are the people with the mysterious power to break through these two layers. They tell us what we must do in order to appease the spirits of our forefathers. They also engage the demons for us through their midnight trances, dances, and incense. So, a person who is beset with perennial illnesses, failing to get a job, failing to find a spouse or to have children, whose business is failing to thrive, etc., simply goes to the witchdoctor who alone has the key to look into the spirit world. He is told that it is either a deceased person or an evil spirit who is frustrating him. Sometimes the enemy is a person who is alive. However, the reason why this living individual seems to have a mysterious hold over your life is because he has plugged into those two layers (of either dead ancestors or evil spirits) and you have not. With the help of a powerful witchdoctor you can outsmart him in those two layers, and the blessings of God can once again begin to flow into your life. Whichever way, the power of the witchdoctor is not in explaining truth but in mindless frenzy. His grip upon the popular mind is his eerie mysteriousness and his capacity to knock you out of your senses and then pronounce you delivered. Of course, this is never done by benevolence. You pay for his services. I do not mean to be unkind, but what the modern Charismatic movement in Africa has done is to simply take this entire erroneous superstructure of African religious worldview and baptise it with wrongly applied Bible verses and Christian language. The only difference is that the layer of dead ancestors and evil spirits is now one hotchpotch of confusion. This is why the nonsense of demons becoming spirit husbands and wives, and wrecking havoc in marriages, is taken for granted! This is also why the heresy of generation curses has become so popular. In our minds, bad luck can be passed on from that layer of dead ancestors. In the African Charismatic circles, the “man of God” has replaced the witchdoctor. He is the one who oozes with mysterious power that enables him to break through those two impregnable layers, which us lesser mortals cannot penetrate. So, when blessings are not flowing our way despite our prayers, we make a beeline to his quarters or his church for help. This explains the throngs in these circles. The crowds are not looking for someone to explain to them the way to find pardon with God. No! They want the “man of God” to pray for them. This also explains the stranglehold that “men of God” have on the minds of their devotees in these circles. In the Evangelicalism of a former generation “men of God” were primarily preachers of the word of God, but in the new setup they are primarily priests who enter the inner sanctuaries to bring down blessings to us. This also explains why the answer to almost any problem that you take to these “men of God” is “deliverance” and “breakthrough”. God wants to bless you, but you need to break through these impregnable layers before those blessings can reach you. The prayers of the “man of God” will bring deliverance because at the overnight prayer meeting or on the hill he will bring about a breakthrough. Who can doubt that these two phrases have become the key words of this movement? This also explains why prayer in the modern Charismatic movement in Africa is literally a fight. In fact, the people praying are called "prayer warriors". Although they begin by addressing God, within the first few seconds they divert from God and begin to fight the spirits in these impregnable layers with their bare knuckles. The language is almost always, "We bind every unclean spirit in Jesus' name! We loose the Spirit that breaks the yoke in Jesus' name!" The "prayer warriors" scream at the top of their voices and chant the name of Jesus. They sweat as they put up a gallant fight with these spirits, straining every muscle of their beings until they prevail (so they think). That is when they reach through to God and his blessings begin to flow. This is nothing more than the African traditional religious worldview sprinkled with a thin layer of Christianity. Notice also how teaching is not the strength of the modern Charismatic movement in Africa. Its chief proponents survive on a few, well-worn, tortured verses: “By his stripes we are healed,” “We are not the tail but the head,” etc. There is absolutely no effort to properly exegete Scripture. Rather, by chanting phrases and making people drop under some trance, in witchdoctor fashion, they are holding sway over the popular mind. The people love it and are paying for it! The “men of God” are becoming stinking rich as the crowds just keep on coming. What worries me is that this is so obvious that I am wondering why we are not seeing this. Or if we are, why we are not warning Christians against this. For the love of crowds, we have allowed African traditional religion to enter the church through the back door. Like the Arabian camel, it has since kicked out the truth. This is why I am not excited by the multiplication of churches—or ministries—under this banner. We need to sound the warning that this is not Christianity. I know that this approach is filling our church buildings and classrooms to overflowing, until we have to multiply church services in order to accommodate the crowds. But this is not Christianity. It does not lead to heaven. It is a thin coating over the religion that has been on African soil for time immemorial, which Christianity was meant to replace. We have lost the Christian faith while we are holding the Bible in our hands and using some of its words. This is really sad. The religion of the Bible does not teach a God who is so far away from us that unless some powerful humans come in and give us a breakthrough he cannot bless us. No! The Bible teaches a God who is near us. The only barrier between God and us is our sin, and Jesus has dealt with that by his death on the cross. When we pray, we are in the throne room of divine grace talking directly to God. We do not need to address demons and ancestral spirits before we break through to him. We do not need to chant and jump around like witchdoctors around their fire under the midnight moonlight. God is our heavenly Father. Only our sin can hinder our prayers. Listen! Angels and demons exist, but they are not an impregnable spiritual strata that needs someone reeking with anointing to breakthrough their layer before we can access God’s blessing. They are simply beings that either carry out God’s commands or the devil’s commands. They are not between God and us! Finally, we do not need “men of God” to lay hands on us every Sunday (or at Friday overnight prayer meetings, or on hills in the outskirts of our cities) in order for us to know God’s blessings. There is only one Mediator between God and us—it is the man, Christ Jesus. All others are imposters and must be rejected with the contempt they deserve. Church planting ministry is very exciting. You would want to go on without resting, winning souls for the Lord. Before long, you have many exciting and encouraging testimonies, such as seeing hard-hearted lost souls turning to Christ for salvation through the power of the gospel. 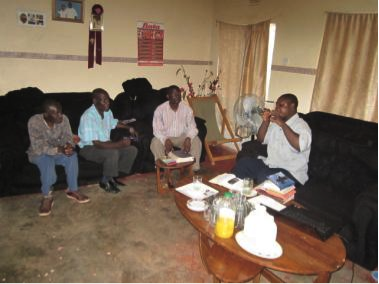 As an indigenous missionary family, sent by Kabwata Baptist Church to plant Faith Baptist Church, in Kabanana Site and Service, we have witnessed many life-changing testimonies. One such testimony is the conversion of Mini Onalenna, who surrendered ‘hands-down’ to the Lordship of Christ in 2011. Mini grew up in a syncretistic African church in Botswana. She now admits that she was very far from evangelical Christianity. Evangelical Christianity made no sense to her, until she relocated to Zambia in 2011 and met me during one of my evangelistic door-to-door visitations. “After he left I started thinking about everything he said. The thought continued up to the following day. When I was alone I went in my bedroom and prayed to God for forgiveness. I repented of my sins and accepted Christ as my Saviour. After that I felt different. On Sunday, I went to church. After the church service I told the pastor that I had repented of all of my sins and I was sure that I was now born again. I have returned from a week's preaching trip to Malawi. This was at the invitation of Fletcher Matandika, the president of Joy to the World International Ministries. Although Fletcher asked me as far back as 2010, this was the earliest I could fit this trip into my schedule. I am glad I went. I preached at two events--The Chosen Generation Missions Conferences at the Kamuzu Academy in Kisungu, central Malawi, and at Nthemba Presbyterian Church in Blantyre, southern Malawi. During the long journey between these two conferences, we visited the Joy to the World International Ministries work in Dzuwa village where I was delighted to find a very impressive work (see photos). I also used the time to find out a little more about Fletcher's conversion, call to the ministry, and involvement in Joy to the World. I have reduced this into the form of an interview to make it easier for you to follow. Conrad: Fletcher, how did you become a Christian? Fletcher: I got converted when I was very young. I must have become a Christian when I was nine years old. I was brought up in a Christian home. My dad was and is still a pastor. I came across a tract in the home. It was the famous Four Spiritual Laws. I understood that I was a sinner who needed to be reconciled to God through Jesus Christ. It had a prayer at the end. I memorised it, closed my eyes, and prayed from my heart. As young as I was, I'm sure that was when the Lord saved me. Conrad: How did you find yourself training for the ministry? Fletcher: Due to my new found love for the Saviour, I began to preach immediately to my friends and went on doing this right through high school. Being a preacher's kid people were not too surprised about this and designated me as such. Upon completing high school I failed to go to university due to the high competition that was there then because we had very few places in university in Malawi in those days. I began a small business selling groceries. The business sank when a friend borrowed my money and failed to repay. My dad, being a poor rural pastor, could not sponsor my tertiary studies. I felt stuck. It was a very low point in my life. I decided to leave home and go to Lilongwe. My mother was concerned and followed after me. She caught up with me in a town along the way to Lilongwe and took me to a pastor's house in that town to seek to dissuade me. This man pastored a large church and talked to me, but I was not convinced and so I still proceeded to Lilongwe. 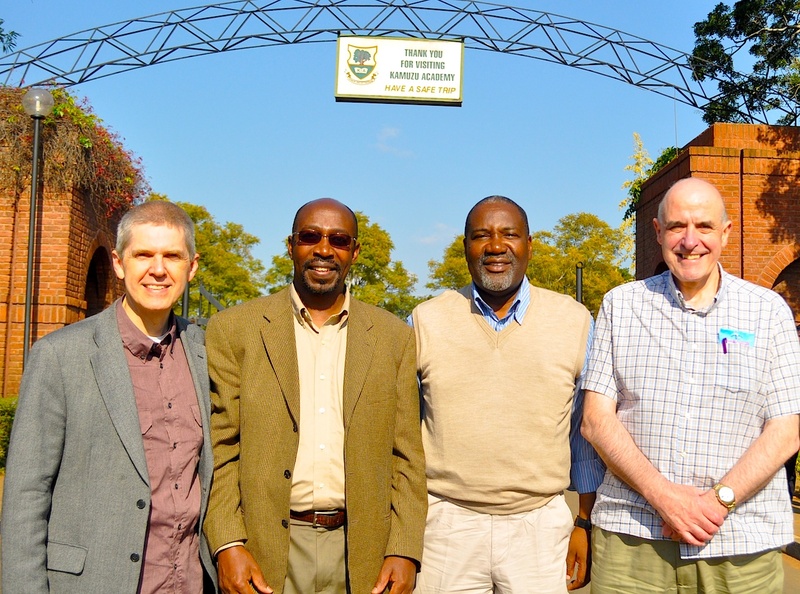 While in Lilongwe, I listened to the African Bible College (ABC) radio station. They were inviting people to apply to the Bible college. I applied and began to study there. Conrad: You are very passionate about missions. How did you develop this passion? Fletcher: While studying at ABC, my desire for ministry slowly changed and missions became a burning desire. 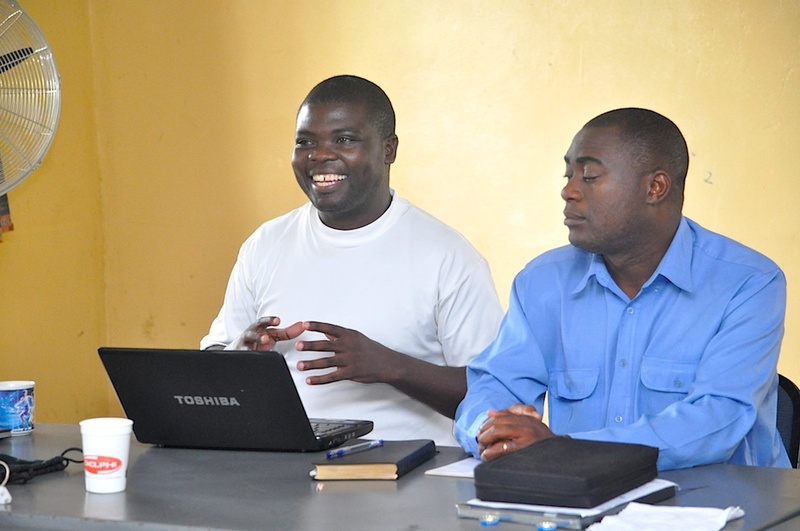 The call to do missions work grew as I interacted with the lecturers. I particularly remember a short-term missions trip we undertook as students to Mozambique in my first year. As I saw people converted through my preaching, my desire to reach out to people in this way really grew and I determined to find a way after college to go into missions. Conrad: I hear you have been used by the Lord to start a ministry called The Ministry of Hope. How did that come about? Fletcher: In my second year at ABC in 1999, I visited my father who was in a new village and there I came across many orphaned children. It was what I saw there that caused me to start The Ministry of Hope. I wanted to help these children. I remember seeing a baby die from malnutrition and my heart bled. I also remember a family that brought firewood to my dad's home to trade with food. This really broke my heart and I determined to do something about it. That was how I began The Ministry of Hope programme, which has since grown and now regularly feeds and supports over 4,000 children all over the country. Government officials were very interested in this and so we partnered with them in due season. roof of the administration block and the classrooms. Conrad: How did you branch off from all this and get back to your original missions vision? 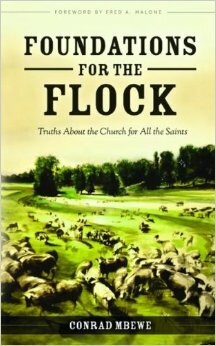 Fletcher: Well, with time my spiritual life began to suffer because of the busyness of this ministry. I felt that I needed to resign from this work and finally did so at the end of 2003. I wanted to get back into missions. There were a number of options such as Brazil and Turkey that were on my mind. I attended an Urbana Missions Conference in the USA and was greatly challenged to go to such places. However, the Lord had other plans and instead sent me for further studies. A couple in California offered to sponsor me to study at Westminster Seminary and so I commenced studies there in 2004. Conrad: That was quite a detour. How did you finally get into the work that you are currently doing? Fletcher: In my second year at Westminster Seminary, I was invited to stand in for a pastor in Canada. I, however, visited Malawi first and while home I changed my mind about going to stand in for this pastor in Canada. However, at a conference back in the USA, I met American missionaries serving in Canada who spoke of the need for missionaries there. I wished I had not turned down the previous opportunity. The following year, I asked that Canadian church if they were still interested in my service but they turned me down. At the end of my studies in 2008 that same Canadian church sent out an appeal to the final year students at the seminary asking for someone to go and help them because they were a very small congregation desperately in need of a pastor. I wrote to them telling them everything I had gone through. They called me for ten days and I met with the elders there. They invited me to be with them for one year. They then asked me to be with them for a second year. After that they asked me to stay permanently as an ordained minister of the Associated Presbyterian Church. That was in 2010. I have been there ever since. Conrad: How did you begin this wonderful ministry of Joy to the World? Fletcher: I began Joy to the World International Ministries in 2006. I took a semester off from my studies because I was failing to concentrate on my studies. I was feeling as if my own people back home were feeling abandoned by my being away in the USA. 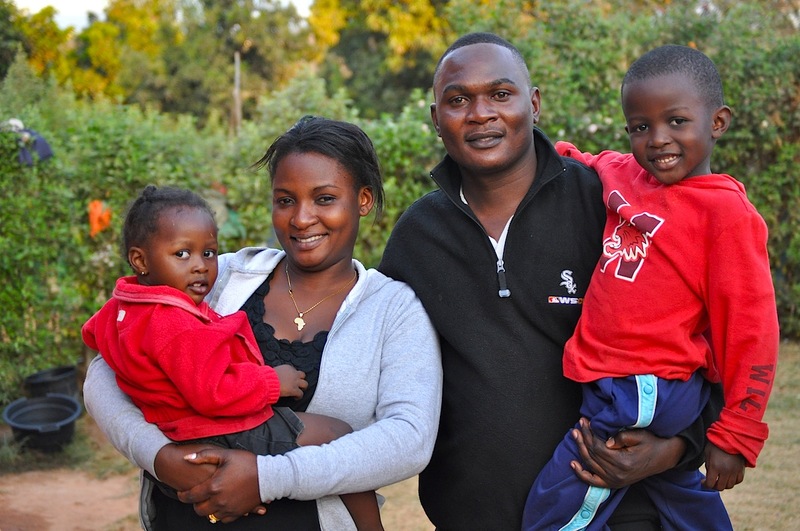 I decided to go back to Malawi and work under my father as a pastoral intern in the village. Dad assigned me responsibilities to preach in different villages, one month per village. In Dzuwa village, my heart was strangely warmed. I held a crusade in the midst of this village that was gripped by witchcraft. I felt a connection with the people there in their spiritual darkness and misery. I would go up in the hills to pray, and my burden grew, until one day the vision of Joy to the World became a reality. I went to see the village chief. I asked him for 50 acres of land where I could fulfill this project that was developing on my heart. He called the chiefs under him and in my presence he asked them to consider giving me some land for this project. Each one of them agreed. After that they excused me and remained to agree on how much land and where the land would be. When I was called back, I was taken and shown the 171 acres that they had agreed to give me. I was overwhelmed because I did not have a single coin to use to develop the massive land they had given me. I returned to Westminster Seminary after God gave me two brethren, Elliot and Ulemu, who were willing to move to Dzuwa village to oversee the start of this project. Later, MacDonald joined them. While in the USA I would send them some basic support to keep them going month by month. We sank thirty-one boreholes across the village and thus provided clean water to the people. Deaths from waterborne diseases immediately reduced to the barest minimum. 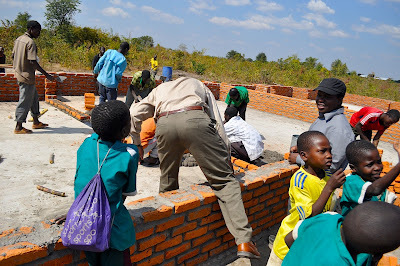 We helped to refurbish the primary school in the village, which at that time had two teachers and three hundred pupils. Now the school has ten teachers and two thousand pupils. By 2008, we started building a clinic in the village to meet the medical needs of the community. We have since hired a medical officer (Jordan) and a registered nurse to run the clinic. 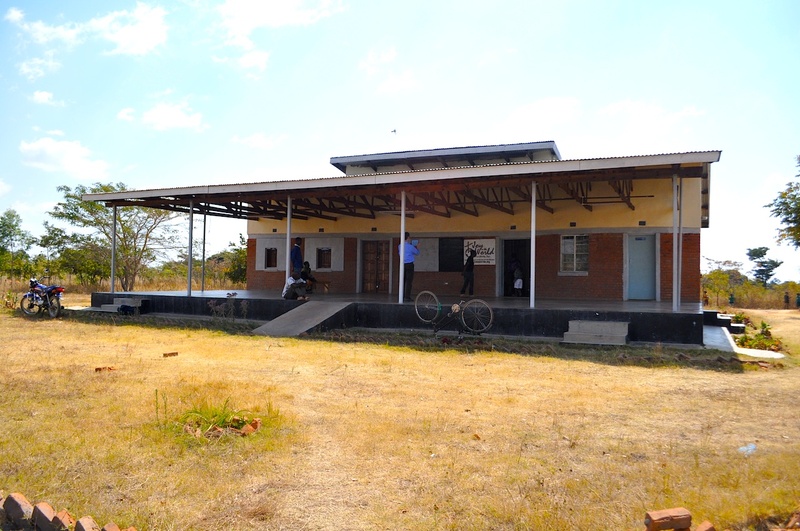 People travel long distances to to come and receive treatment in this clinic. 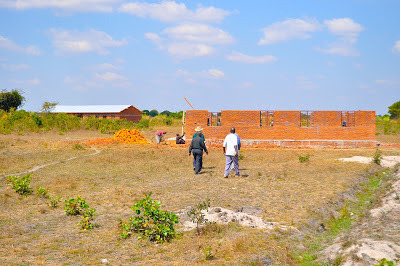 We are now building a classical secondary school, which we hope to open in September, the Lord willing. Conrad: I am here to preach at the sixth missions conference being sponsored by Joy to the World International Ministires. How did all this begin? Fletcher: We started these conferences in 2008. 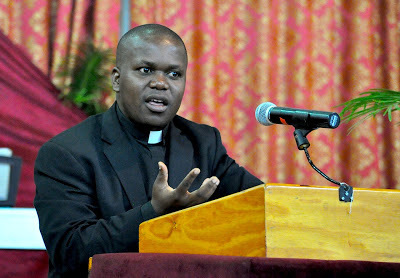 I had spoken at a missions conference in the USA and wished a similar conference could also be held in Malawi. Hence, the goal was to mobilise young people from all over the country for missions work. I was not aware of any missions conferences in Malawi though there were individuals who were passionate about missions. 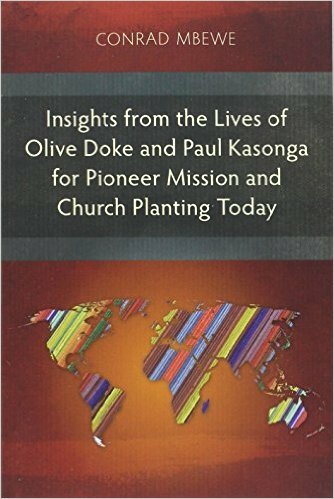 What I wanted was not simply to inspire people to go out in missions but to give them doctrinal moorings. The missions conference was aimed at adding the doctrinal element to the call to missions. One night, while thinking about it, 1 Peter 2:9 came to mind, hence the name "Chosen Generation Missions Conference". In fact, the first conference had "Chosen to Proclaim" as its theme. From my exposure at Westminster, I wanted consecutive expository preaching at this conference. Thus I began taking the conference through the Lord's Prayer. 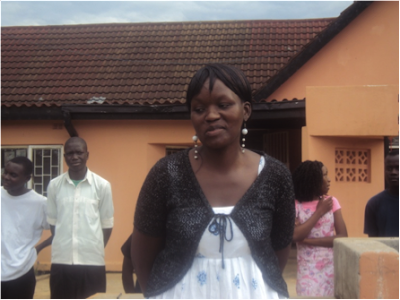 By the way, it was during the very first missions conference that I met my lovely wife, Angella. She was studying at university and had heard that there was going to be this missions conference. She came. We met. And the rest is history. 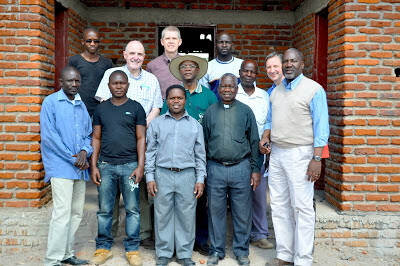 Conrad: I must admit that I am very impressed by what I have seen here in Dzuwa village. 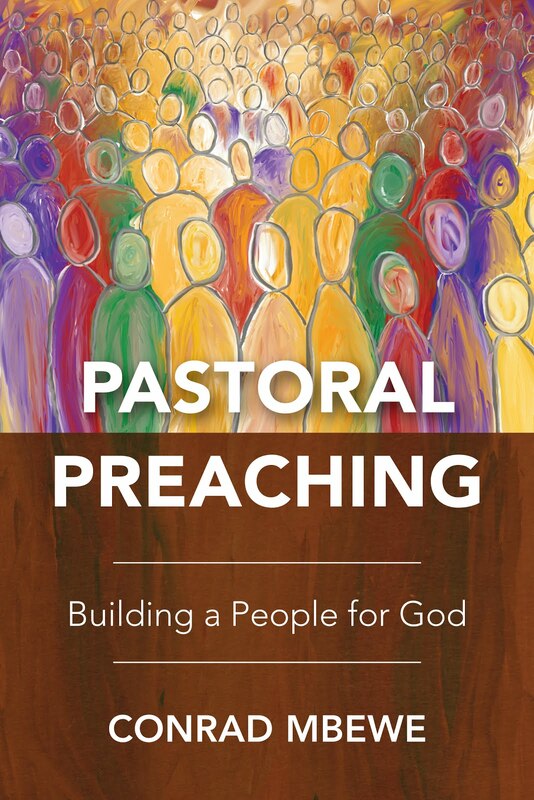 As the work here grows and your pastoral ministry also grows, how are you hoping to combine your pastoral ministry in Canada and your burden for your own people back home? Fletcher: My goal is to continue teaching and preaching to my congregation and at the same time continue to get involved in a global ministry. I look forward to the day when I will remain in Canada ministering at my church while my church members travel to Africa and elsewhere in the world to do what I am currently doing. I want this to be an outworking of their growing vision and passion for missions in response to the Lord's work in their lives. I am truly hoping that this will grow through my preaching ministry among them to the glory of God. If this is achieved, I trust that it will be a blessing to God's people among the nations through Jesus Christ.